We are still in Italy and we have a train track next to our place. I like watching the trains go past our place. I took pictures of trains that went past my place. When I was watching the trains I saw a house with lots of tv antennas. We caught a bus and went to the colosseum and we saw lots of amazing things including centipedes. First I thought the centipedes were worms, next I saw legs, next I got one out and I saw it was a centipede. I took a picture of a bus and then I took a picture of an ice cream cone sign. I took a picture of a bull that was a sign. 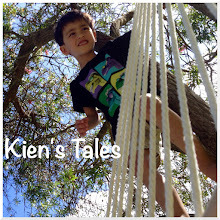 Photos and story by Kien.